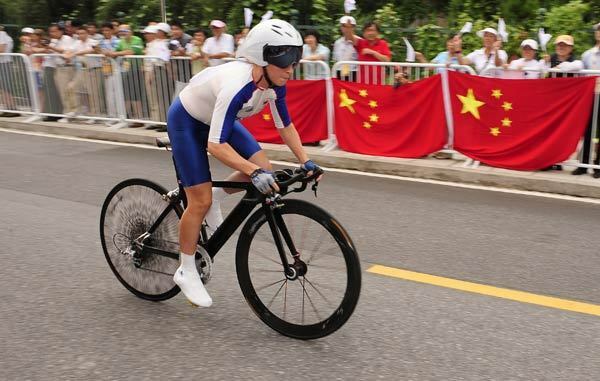 Emma Pooley gives it everything as she crests a rise on the Beijing time trial course. Not the usual handlebars ? a specially design that combines the aerodynamic advantage of a standard time trial handlebar with standard road brake hoods. This enabled Pooley to climb the main hill on the course as if she were riding her road bike, a position she said gave her more strength. 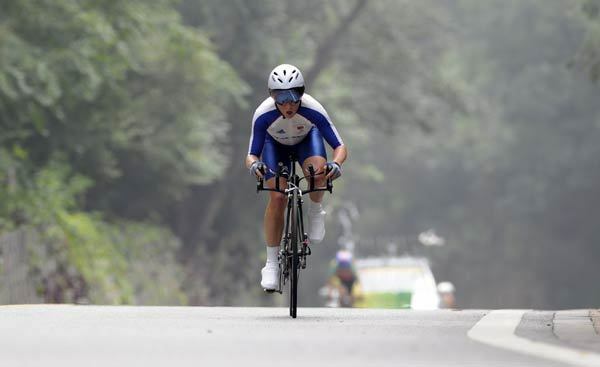 Pooley gives it everything as she approaches the finish of the time trial. 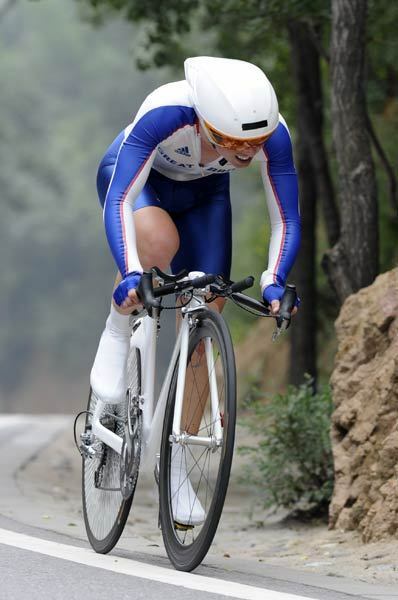 Olympic road race champion Nicole Cooke was 15th in the time trial. She gave it everything, but it was always going to be hard to replicate Sunday?s amazing performance. 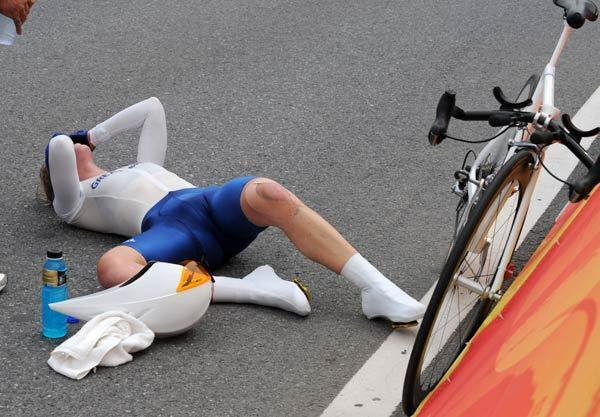 The exertions showed as Cooke collapsed in exhaustion at the finish. 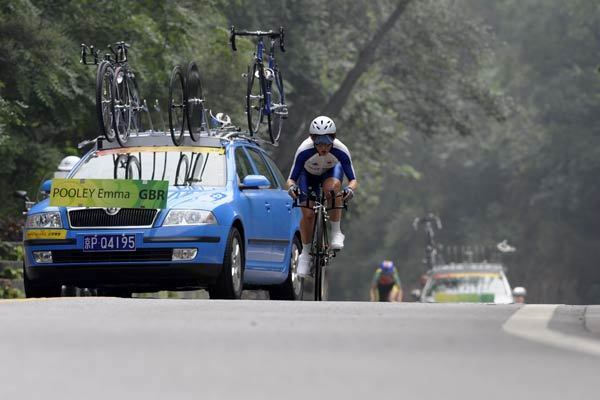 She was fine within a few minutes but it showed the severity of the test on another humid day in Beijing. Pooley looks almost overwhelmed ? and why shouldn?t she? It has been an amazing, whirlwind rise to the top of the sport in the past 18 months. Enjoying her moment in the spotlight. There could be many more to come at World Championship and Olympic level. 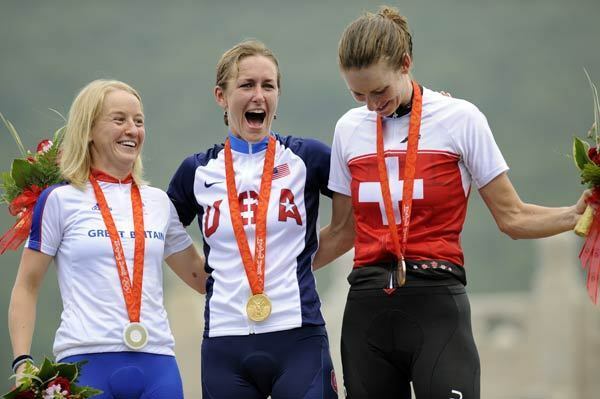 The podium: Pooley, gold medallist Kristin Armstrong of the USA and Karin Thürig of Switzerland, who won bronze. Nicole Cooke is now a household name after blanket media coverage of her gold medal-winning ride on Sunday. Here she recounts her time trial experience to reporters. Cooke and Pooley show off their medals. British Cycling?s performance director Dave Brailsford (centre) said the one thing he wanted most from Beijing was a medal away from the velodrome. Well, he got two. 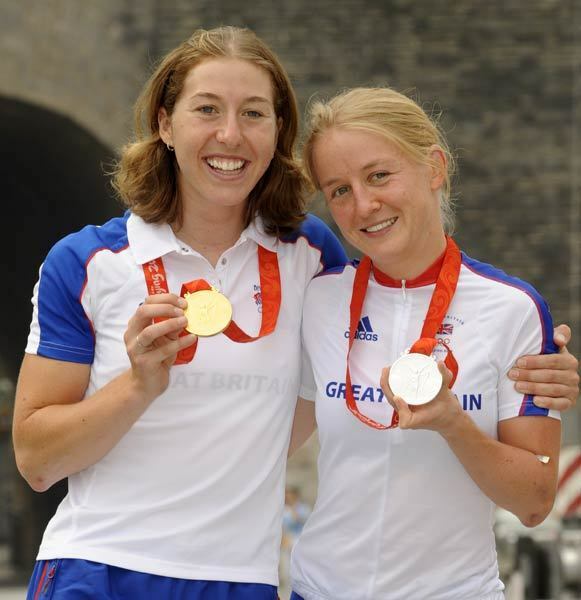 A gold and a silver from the women?s road events is a fantastic return.